There is some good news we can take from the US Election. For anyone hoping to see the first female president of the United States, the election result might feel like a devastating defeat. The US did not elect its first female president. The glass ceiling may have been cracked, but it’s still not shattered. Yet, despite what your emotions, friends, family, and the internet tells you, there’s a lot to celebrate. While the US will have to keep waiting for its for its first female president, here are five other women shaking up the political scene. Former refugee elected as first female Somali-American legislator. 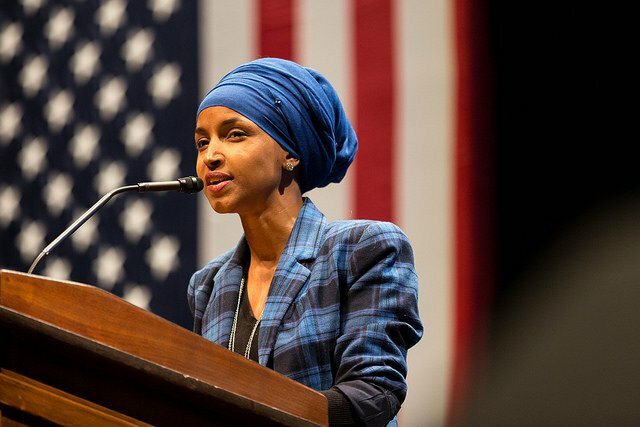 Ilhan Omar has made history. At the age of 12, Omar fled civil war in Somalia. After spending four years in a Kenyan refugee camp, she came to the US as a Muslim immigrant. Today, she’s emerged the victor in a narrow House race in Minnesota. In an ongoing dialogue surrounding islamophobia in the US, she will be a vital contributor. Kamala Harris is only the second black woman to be elected to the US Senate, and, according to the Los Angeles Times, the first-ever black politician in US history to represent California in the Senate. Harris, the daughter of Jamaican and Indian immigrants, was also the first female attorney general in California. Kate Brown has become the first publically LGBT person to be elected to the position of governor. Although she held the post from last year in her home state of Oregon after the resignation of the previous governor, this is the first time she’s won the public vote. She’s vowed to fight discrimination in all forms and will be a valuable friend to the vast swathes of the LGBT community who do not feel represented by the Presidential election results. Indian-American woman elected to Congress. Pramila Jayapal moved to the US as an immigrant when she was just 16 years old. She went on to set up anti-hate advocacy group OneAmerica in the wake of 9/11 hate crime and was lauded for her work in the US Senate. Despite some reports, she’s actually not the first Indian-American woman elected to Congress. But her victory in Washington state is a huge statement against widespread anti-immigrant rhetoric that has engulfed this election. Catherine Cortez Masto, the granddaughter of a Mexican immigrant, has made history, too. After months of rhetoric centered around the exclusion of the Hispanic population, news of fresh representation will go a long way. Masto ran a campaign around renewable energy and protecting undocumented immigrants. Her voice will be valuable in the months to come. While the world will have to wait to see a female leader in the White House, these victories are a reminder that the race is not over. It's only just begun.